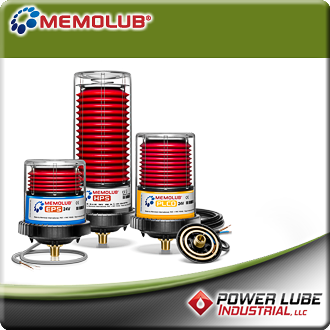 Power Lube Industrial supplies automatic lubricators to some of the worlds largest manufacturers. Our knowledgable staff has helped thousands of dedicated customers overcome challenging lubrication tasks. We were one of the first U.S. importers of today's modern automated lubricators in 1971. Call us and let's put over 45 years of preventative maintenance lubrication expertise to work in your plant. 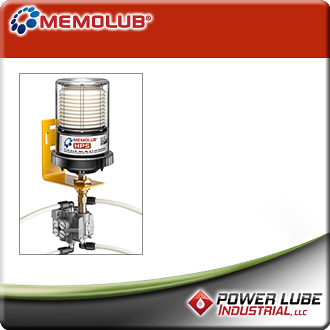 The NEW reliable, Simple & Efficient Single-Point lubrication system from POWER LUBE INDUSTRIAL. 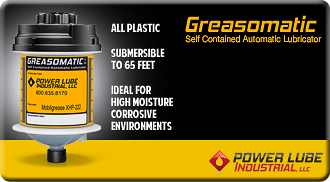 The GREASOMATIC is a self-contained programmable lubricator built to meet the requirements of the industrial maintenance professional. 7 dial settings allow 120cc's of lubricant to be ejected over 1 to 12 months.